Thanks to a generous grant from the Leighty Foundation, AL!VE has recently bolstered our work assisting the National Alliance for Volunteer Engagement and other follow up from the 2017 National Summit on Volunteer Engagement Leadership. AL!VE President Elect, Dana Litwin is co-facilitating the Alliance alongside consultant Betsy McFarland. AL!VE is the fiduciary for the National Alliance, which is currently forming an interim leadership team. Over the coming months they will be checking in with everyone who has expressed interest and working to get a long term leadership team in place early in 2018. As part of the Leighty grant, AL!VE Association Manager Gretchen Jordan, along with some of the board of directors, are facilitating follow up conversations from the 2017 National Summit on topics including industry related communications, research, visioning. With all of these areas in flux for the coming months, AL!VE plans to conduct Summit follow up conversations at numerous local and regional associations, delivering updates on these topics and hosting listening sessions. We hope this will assist the Alliance in its preparations into the future, and help AL!VE become more useful to our members and other practitioners. If your local association would like to get more information and potential get involved in these developments, please let us know! To register, click on the title webinar name below or visit our calendar. AL!VE Exclusive Member Benefit: Free Volunteer Management Software! Listed below are upcoming recognized days of service within the next couple of months. This may be a great opportunity for your organization to host service projects. Annual event to "pay tribute to aid workers who risk their lives in humanitarian service, and to mobilize people to advocate for a more humane world." While volunteers are not specifically mentioned, there is no reason why unpaid humanitarians cannot be recognized alongside paid ones. The September 11th National Day of Service and Remembrance is the culmination of efforts originally launched in 2002 by the nonprofit 9/11 Day with wide support by the 9/11 community and leading national service organizations. AL!VE is dedicated to the professional growth and development of leaders in volunteer engagement. The purpose of the Emerging Leaders Mentor Program is to provide a platform for AL!VE members to connect, share best practices and position themselves as leaders in the field through ongoing professional development and skills building. Participants will paired with AL!VE Mentors to receive individualized coaching and support as well as monthly mentee peer sessions pertaining to leadership development topics. For more information about this program, commitments and requirements, timeline, etc., please review the AL!VE Emerging Leaders Mentor Program FAQ. IMPORTANT: If interested in participating, please review the dates for virtual events of this program so you can ensure your attendance. If you have any concerns about this program, please contact Megan Vixie, AL!VE Mentor Program Facilitator at marketing@volunteeralive.org. Complete the mentee application here. Complete the mentor questionnaire here. Applications and questionnaires are due by Monday, September 3rd. We are excited to launch this new benefit and we hope you take advantage of it as a mentee or mentor! The Call for Nominations for AL!VE Board of Directors is open August 24th and we are seeking candidates who have a passion for volunteer engagement and the growth and success of the profession. With many new initiatives on the horizon, AL!VE needs and welcomes the enthusiastic participation of its members on the Board of Directors. Board service is a chance to grow personally and professionally, to develop skills, gain unique experience and make lasting connections with a team of other passionate and motivated professionals throughout the country. The volunteer commitment is an average of 15 hours per month. Individuals may nominate themselves or a colleague. Our 2019 slate will consist of new board members chosen from those who apply and current board members seeking a second term. We welcome nominations from all regions, with an immediate need of representation from the following regions: Mountain, Upper West, Atlantic and South East. View a map of the regional representations here. We are asking you to serve. Please share your professional knowledge, expertise, and passion to help us craft and forge the future of the profession. This is an exciting time to join the leadership of AL!VE and help us map our ambitious future. To learn more or apply, visit the 2019 Board Nomination webpage. How do you engage the community to support your cause in ways other than volunteering? Do groups and individuals want to support you, sometimes with a specific idea, but you're not sure how to engage them effectively? This interactive session will ask participants to share best practices and “what works” when it comes to community engagement, so come explore new ideas as well as some proven methods for building and strengthening support from your own community! 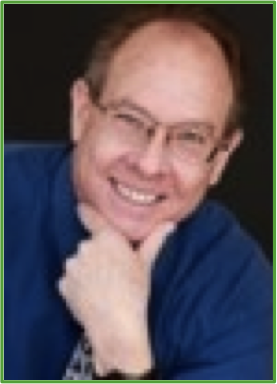 Mark W. Smith, CVA, is a volunteer engagement and management professional with over 15 years of experience in arts & culture, senior services, and nutrition. Mark currently serves on the Executive Committee as the Secretary for AL!VE and as a board member representing the mountain region. Mark’s community impact includes serving nine years on the DOVIA Colorado board of directors (previously called Denver DOVIA), three years each serving on the steering committees for the Colorado Conference on Volunteerism (CCOV), and National Philanthropy Day in Colorado, mentoring those new to the field, and as a session presenter for CCOV. In 2015 Mark received the Outstanding Achievement in Volunteer Management Award for his dedication to the profession. Mark will also be the keynote speaker for the Colorado Conference on Volunteerism, Engage, Unite and Ignite, on October 10th! Click here to learn more about this conference. Interested in presenting at an upcoming AL!VE Academy? AL!VE Academy offers members the opportunity to develop and practice their presentation skills while sharing their expertise with their colleagues. We are looking for members interested in presenting in the 2019 AL!VE Academy. Check out the Get Involved section of our website to learn more or contact Emilie at brometbauer@yahoo.com. Communities of practice are really a semi-informal group of people who have a particular practice in common. The purpose of a CoP is for members to share issues, strategies, best practices, get and receive colleagues' support, make connections, and provide an opportunity to share information, experiences, and resources specific to their shared practice. They connect in a variety of ways, including online networking, occasional meetings, and hosted trainings, or discussions of issues or something unique to their shared practice. The Rural CoP is more than a webinar series, it’s a chance to get to know your peers, and have a network you can go to with questions or to get feedback on new ideas. We hope participants will reach out to each other between webinars as they virtually get to know each other. It’s owned by the group, so share your questions, suggestions for upcoming topics, and resources that others would benefit from. On our first webinar we discussed research conducted by MAVA on rural volunteerism, and how we saw similar themes playing out in our own communities. Coming up this month we’ll dive into the topic of volunteer leadership succession. Many communities have those handful of leaders who are the chair of every committee, for every event, and have been for decades. How have you found success in developing the next generation of volunteer leaders? How have you encouraged current volunteers to be open to new volunteers and new ideas? Bring your challenges, as well as ideas of what’s worked in your community! A virtual hybrid conference means a local group (e.g., DOVIA, Volunteer Association or agency) live streams our presenters to their participants. AL!VE arranges for the speakers, handouts and content. The group pays a connection fee, arranges for the meeting space, meals, etc., local facilitator, and determines the local cost per person. The group keeps the proceeds! Check back at the event website in September when host sites will have their registration links available. Presented by AL!VE, Better Impact, and VMPC (Volunteer Management Professionals of Canada), this event is designed for local Associations of Volunteer Engagement Professionals, Volunteer Centers, State Commissions on Volunteerism, Educational institutions, or organizations with a team of volunteer engagement staff. Connect with other volunteer engagement professionals during this live-stream conference across North America as remote sites all over the United States and Canada learn locally from national presenters. This event will be presented in a ‘Ted Talks meets Late Night Talk Show’ format, with the opportunity to discuss the speaker's presentation within your local group and pose questions for the panel of presenters. The latest issue of the International Journal of Volunteer Administration (IJOVA) features three articles that address important topics for volunteer engagement professionals. Campbell, Scotland-Coogan, and Werk offer results of a study that explores the motivations for volunteers who bring in their certified dogs to visit children in a pediatric hospital system. This article is very timely as we see more and more debated in the popular press and other outlets about service and support animals. DeBoer and Akdere share a review of literature focusing on human service volunteer retention and key factors of motivation, satisfaction, and socialization. The authors demonstrate their interrelationships as well as how they impact training programs. Culp, Edwards, and Jordan reflect on their conference planning and zest to meet participant’s needs. In a light-hearted manner, yet powerfully, they describe lessons learned and future approach that will meet the needs and desires of those in attendance. Truly, lessons for all of us! IJOVA is thrilled with the direction we are heading. New ideas and partnerships will certainly bring new opportunities. We welcome you to join us by submitting a manuscript, volunteering to serve as a peer reviewer, promoting the journal, or sharing your feedback! Learn more at www.volunteeralive.org/ijova. AL!VE hosts a quarterly roundtable discussion for Associations of Volunteer Engagement Professionals. We will share successes, challenges, resources, templates and information. These discussions are meant for board of directors or leadership in these local associations, not individual AL!VE members. At each roundtable, we will have updates on our current project to expand services and supports for local associations. Does your association of volunteer engagement professionals recognize your peers? Join Jennifer Thompson, CVA and Gretchen Jordan, CVA for a roundtable discussion of providing a meaningful ways to recognize the peers in your local community. We'll share some examples of judging templates, award names, and how to get the word out about all the great and wondrous things your peers have accomplished. Are you making the most of social media for your association of volunteer engagement professionals? Learn tips & tricks for utilizing Facebook, LinkedIn, or Twitter to communicate, recruit, inform and train your members and the community about the value of our profession. For more information or to register for these events, go to our Calendar of Events. (These topics are subject to change depending on regional or national events). As a professional leader and manager of volunteer engagement, your responsibilities include advocating for volunteers, your programs, your position, your profession, and for volunteerism as an essential foundation of civic and societal health. AL!VE, as a professional association whose members represent a vast diversity of industries, fields, and perspectives, our responsibility is to provide our membership and the profession with resources on how to be an advocate and current information about trends, legislation, and issues that are relevant and important to our field (like the recent successful funding increase to National Service in the 2019 Appropriations which is described in an America's Service Commissions article that you can find here). If you have ideas or suggestions of issues, trends, and legislation that you would like to share our learn more about, or if you are interested in researching and sharing advocacy topics, please contact Emilie Bromet-Bauer, AL!VE VP of Programs & Advocacy at brometbauer@yahoo.com. On September 11-12, join Voices for National Service for Capitol Hill Day 2018 in Washington, D.C.
Capitol Hill Day - sponsored by CSX - is an excellent opportunity for national service practitioners, alumni, partners, and funders to make sure Congress knows the value and impact that AmeriCorps and Senior Corps programs are having on the ground, in their states and districts. Registration for Hill Day is free and includes training, materials, and a kick-off reception on Tuesday, September 11 from 5:30-7:30PM. Visits to congressional offices will be on Wednesday, September 12 from 8:30AM-1:00PM. For more information, visit the Voices for National Service Hill Day website and view the FAQs. Register for Hill Day today. Registration will close on August 15.